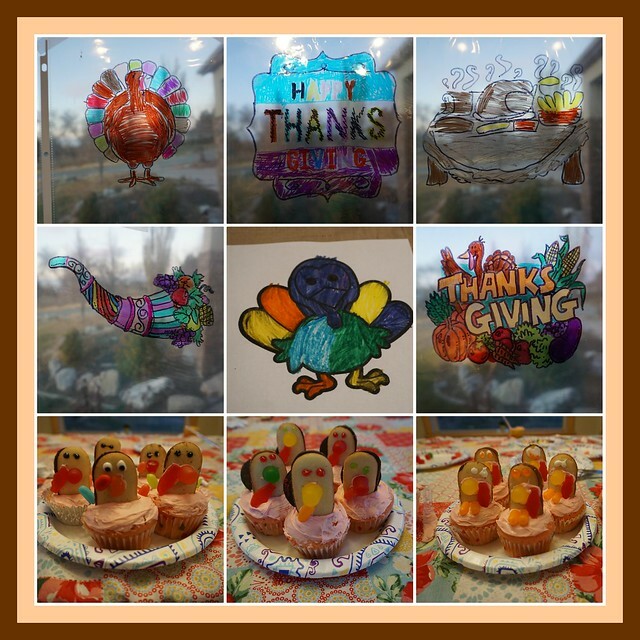 My Friday craft group had one extra day with me before Thanksgiving break, so we did some easy Thanksgiving stain glass art and transformed cupcakes and cookies into turkeys. My 3-year olds colored their pages directly with washable markers. 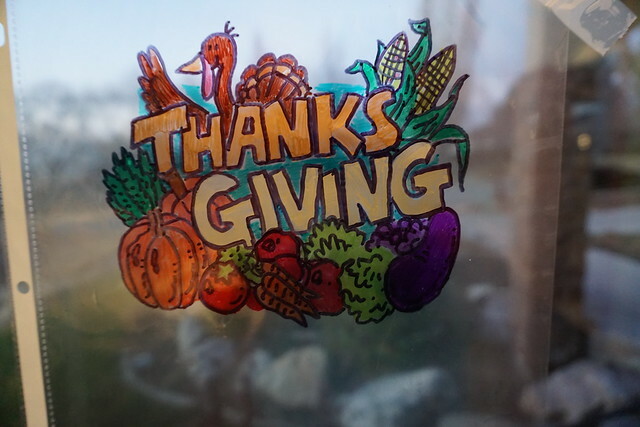 To make the stain glass art, simply put a black and white printed coloring page inside a sheet protector. Then use the Sharpies to color it on the outside of the sheet protector. My girls found it easier to color inside parts first, and then outline with black Sharpie. 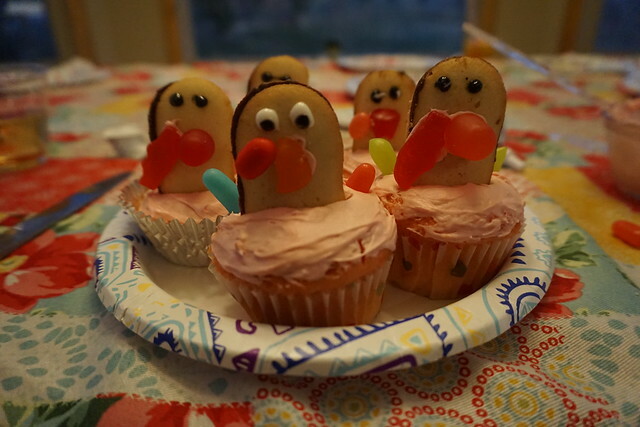 For the turkey cupcakes, first the girls frosted each one and set them aside. Laying the Milano cookies flat on the table, the girls used left over frosting to “glue” candy of their choice to form a turkey beak and wattle. They used the decorating gels (the colors I had on hand) to make eyes. We discovered that the decorated cookies needed to sit flat for a few minutes for the gel and frosting to set before standing them up in the cupcakes. Once they were in the cupcakes, the girls added “feathers”. Some used the Mike and Ikes or jelly beans. Some used the cookie part of Oreos and tilted it behind the Milano “body”. The cupcakes are adorable! I’m going to try the stained glass with the grand kids! That’s a nice one because it only takes a few easy supplies. They’re so cute and very clever. Those cupcakes look tasty too.